TV show dates: March 11, 2016 — present. Performers include: Will Arnett, David Sullivan, George Basil, Ruth Kearney, Robert Wisdom, Lina Esco, Dennis Gubbins, Travis Mills, and Christopher Mintz-Plasse. 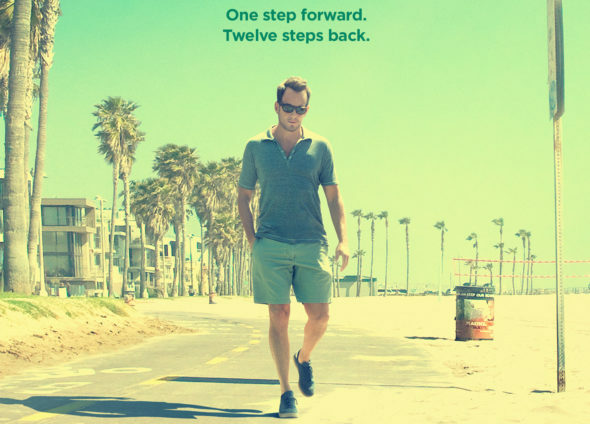 A scripted dramedy series, Flaked centers on Chip (Arnett), a popular denizen of Venice, California. Although he has a great reputation as a local sobriety “guru,” Chip has been drinking on the sly and hiding it from his friends and associates. In danger of losing his store, Chip’s having a hard time staying on top of things. He has fallen for London (Kearney), despite the fact that his friend, Dennis (Sullivan), is nursing a massive crush on her. Will he climb back on the wagon and get himself together, or remain tangled in his own web of lies? What do you think? Do you like the Flaked TV show? Should it be cancelled or renewed for another season on Netflix? Flaked is my favorite series by far….reminds me of Sideways…would like to see more of the story…really excellent acting. Love Flaked. Just tells us if it’s coming back or not! PLEASE bring ‘Flaked’ back! Now that I’m addicted… I need more seasons. Flaked is my fav . looking forward to the next season.Will.is great the whole cast and crew .just buy the way the show puts out .you can see the difference when cast and crew get along not like them other flaked wannabe..this is awesome show.must watch.it just keeps getting better.i wonder what going on.sad about Dennis Dogs that was really sad.